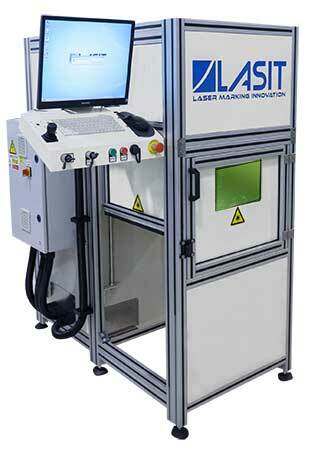 Supplementary laser marking, designed for installation on a more extensive automatic production line. 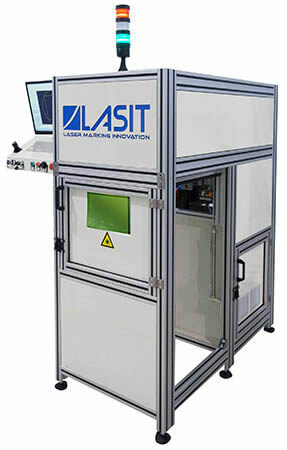 It is particularly suited for laser engraving of automotive components. The marker is fitted with a Z axis with a stroke of 300 mm and a Y axis with a stroke of 300 mm. The steel they are made of gives rigidity and stability during movements and makes it possible to obtain accurate and clean laser engravings. To facilitate installation, the machine was built in two blocks that can be completely separated: this facilitates both transport and installation. The doors for the entrance and exit of the components open pneumatically and are connected to a programmable logic controller (PLC) that handles their automation, thus guaranteeing total safetyduring the marking process. Everything is made to fit in with the existing production lines, with non-invasive equipment and systems. 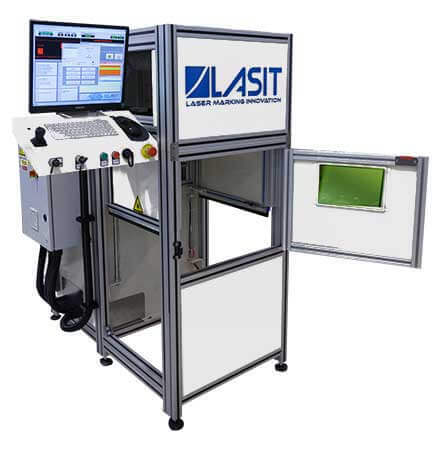 In the case of laser engraving on automotive components there are multiple applications. However, for marking small articles the option is the TTL (Through The Lens) system, which enables centring of the article with extreme precision.